Josie Martinez, a U.S. Postal Service letter carrier in Jourdanton, was recognized for her safe driving by receiving the Million Mile Club plaque from the National Safety Council. Martinez has driven her route accident free for 30 years. Jourdanton Letter Carrier Josie Martinez has joined the thousands of Postal Service employees who have individually driven more than a million, accident-free miles. Martinez was recently inducted into the prestigious National Safety Council’s “Million Mile Club” for thirty years of accident-free driving on the job. Martinez was presented with a special Million Mile Club plaque from Jourdanton Postmaster Terry Gray during a brief recognition ceremony held with co-workers at the Jourdanton Post Office. To be qualified for Million Mile Club status, a professional driver must have driven accident-free for either 30 years or a million miles. 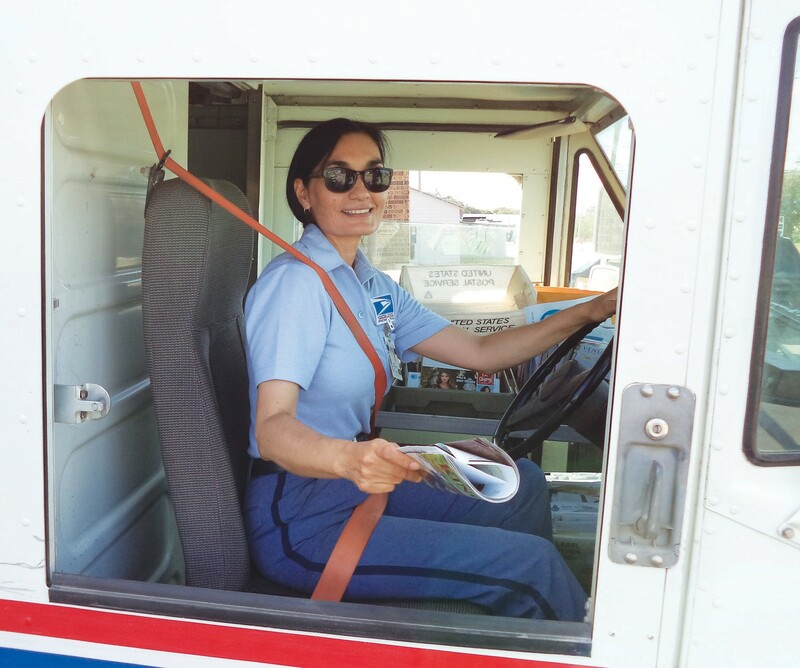 Martinez, who started her Postal Service career at the Jourdanton Post Office in 1982, has driven 32 years without a preventable motor vehicle accident qualifying her for the distinguished driver award. According to the National Safety Council, more than 9,400 Postal Service employees have achieved a distinction most people never approach in their lifetimes — driving more than a million, accidentfree miles. No other business comes close. Since 2005, over 9,400 Postal Service professionals have driven more than a million miles without a single accident. Reaching this pinnacle requires a safe attitude that entails driving 1 million miles or 30 years without a preventable incident. Information on the National Safety Council’s Safe Driver Program is located at www.nsc.org/ usps. Questions can be directed to National Safety Council Customer Relations at 1-800-621-7619 or uspsawards@nsc.org.